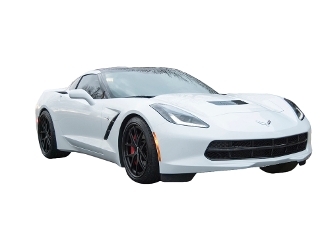 GM Chevy GMC Code 10 Arctic White Base Clear Car Kit - Buy Custom Paint For Your Automobile Or Motorcycle At Discount Prices! Featured in this listing is one full, unreduced gallon of the KemBase classic basecoat color of your choice (choose from the drop down menu below), One full gallon of clear (multiple options to choose from), and all of the activators and reducers needed for them. This is a great value on a base/clear kit! Our basecoat colors are available in rich, vibrant custom paint colors and cool classic factory colors for restoration and custom painting professionals. To learn more about our color options visit our article on car paint colors over here: https://www.thecoatingstore.com/car-paint-colors/ Most colors are available in convenient paint kits to help ensure you get the correct items and amounts designed to work with each other. We have auto paint kits sized appropriately for cars and motorcycles. To learn more about our automotive paint kits visit our article at https://www.thecoatingstore.com/paint-kits/. Use the color chart below to aid you in selecting your classic muscle color. 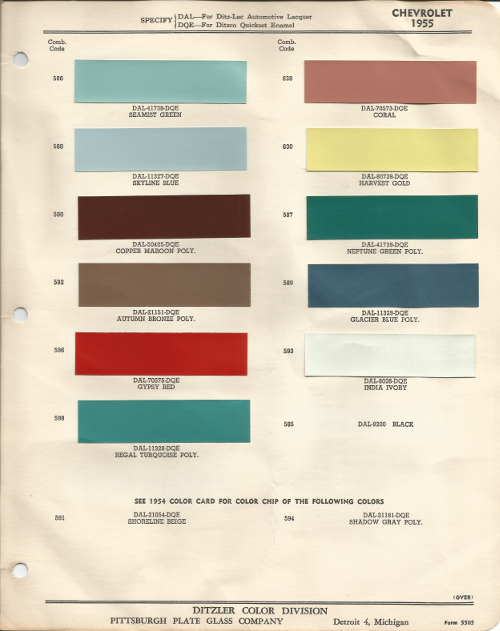 Color chips shown are scans of orginal paint supplier's color charts which may vary from the actual paint and/or car color. Always spray a test panel to confirm the color before using on your vehicle. Sorry, we do not offer recent color charts or recent photos of spray outs for this era of colors (nor does any other paint supplier). This series of colors is intended for those who want to restore their vehicle to the orginal factory color as they may have rolled off the assembly line over 40 years ago. Zoom in by holding the control key on your keyboard while pressing the "+" at the same time. Use Ctrl and the "-" to shrink your screen back to your preferred size. NOTE: Not all of the colors listed above are for the 1955 Chevrolet Bel Air. Some of the colors belong to other Ford vehicles. We've researched all of the colors offered for the 1955 Chevrolet Bel Air and we've listed them below. Looking for more a more vibrant paint color? Custom paints are our specialty! Check out our custom metallics, pearls, candys and chameleon colors in other sections of this store. Check local regulations for compliance. We offer a low VOC version of this product for customers in areas where low VOC products are required. Contact us for details at info@thecoatingstore.com. Absolutely, but don't take our word for it. Click on the image below to pull up our latest unbiased reviews on our product and services through our ebay store. The colors lay down easily and cover like top shelf brands from the major suppliers. Our clears lay down flat, polish easily (if needed) and hold up as well or better than some of the name brands that are more than twice the cost. 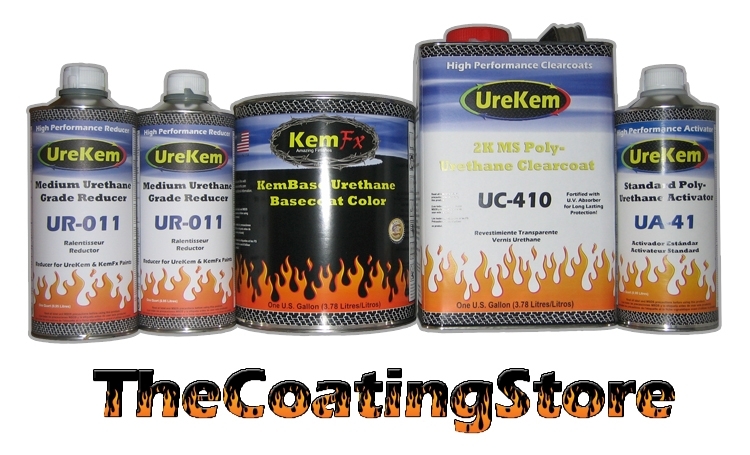 Be sure to visit our brand site at www.urekem-paints.com for even more examples of the quality of our products. Visit our shipping map for an estimate of how many working days it will take for you to receive your product. See the chart below for shipping cost to the continental USA. The type of primer you use depends on the condition of your vehicle. For application over bare (upainted) metal we recommend our Oxystil 2K Epoxy primer to ensure best adhesion and corrosion resistance. While Oxystik does provide some filling and sanding, it does not fill and sand as well as our KemFill 2K Urethane Primer Surfacer. KemFill is applied over Oxystik to fill imperfections and can be sanded smooth. If your existing paint is in good shape already our ColorSeal 2K primer sealer is a great choice to provide a good stable surface to apply your color layers over. The amount of paint needed for your project depends on a lot of factors including the color you choose, how much of the vehicle you are painting, your equipment and if you are painting in pieces vs asssembled. Generally speaking one car kit will handle the outside and jambs on a mustang whereas two car kits may be need to do all the outside, inner fenders, firewall, underside of hoold and deck lid, and inside trunk. We also sell a quart version of this kit called a "moto" kit which is useful if you may need more than a car kit but less than 2 kits. We regularly add customer project photos to our facebook page. Click the banner here to visit then click on photos and see comments and photos from our customers.